Pioneers in the industry, we offer self-checking touch buttons, optical touch buttons, mount emergency stop buttons, run bar with stb buttons, mechanical buttons and safety cables from India. OPTO-TOUCH Optical Touch Buttons are zero-force ergonomic replacements for mechanical push buttons. OTB models are momentary-action touch buttons with electromechanical relay or solid-state outputs. LTB models are alternate-action touch buttons with electromechanical relay outputs. Our company is engaged in offering a comprehensive range of STB Self-Checking Touch Buttons. These provides highest level of safety for two-hand control input devices, per independent certification tests, Provides redundant microprocessor and optical path, Responds to a finger blocking light rather than to pressure, Features ergonomic design to prevent repetitive motion stress, Includes yellow field cover to prevent unintended switching, Immune to ambient light, EMI and RFI, Available with e/m relays rated for 1 amp switch capacity or solid-state outputs rated for 150 mA, Withstands exposure to a variety of chemicals, depending on model. Mechanical palm buttons push to stop and twist to release. Modular design makes assembly and installation easy. Metal or plastic buttons are available. Normally closed (NC) positively driven or normally open (NO) auxiliary contact elements are available. Kits simplify selection and ordering. Latching design complies with ISO 13850 (EN 418). 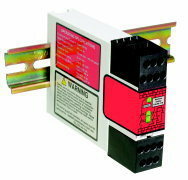 Options include station enclosures, contact elements and disc labels. Quick-disconnect (QD) cables allow safety devices to be installed, replaced or moved quickly, minimizing down-time. Euro-, Mini and Micro-style cables are available. 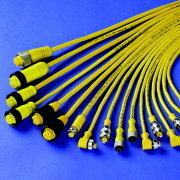 Models are available with single or double-ended QD connectors, or as unterminated bulk cable. 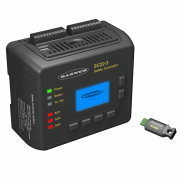 Our company is engaged in offering a comprehensive range of SC22-3 Safety Controller. 22 input terminals can monitor both contact-based or PNP solid-state outputs from Banner devices or any other manufacturers, Each input can be a non-safety input, or configured for Control Reliability or Category 2, 3 or 4 safety circuit performance per ISO 13849-1, 3 pairs of solid-state safety outputs rated at 0.75A each (24V dc) with selectable one- or two-channel external device monitoring and ON-delay or OFF-delay, 10 configurable auxiliary status outputs track inputs, outputs, lockout, I/O status and other functions, Easy configuration with built-in front panel LCD display or PC Interface, Live Display and a Fault Log provide real-time system and fault history identification, Controller is designed to meet stringent standards including Safety Integrity Level (SIL) 3 per IEC 62061 and IEC 61508, and Category 4 Performance Level (PL e) per ISO 13849-1. Looking for Safety Checking Touch Buttons ?